After breakfast at your hotel, 08.30 departure. For the start of the tour journey to Ho Chi Minh’s Mausoleum. Enjoy the architectural and historical aspects of ‘ Uncle Ho’s’ final resting-place. Just next door is Ho Chi Minh’s ‘house on stilts’, his home from 1954 till 1969 the wooden ethnic minority style house is surrounded by quiet and peaceful gardens. 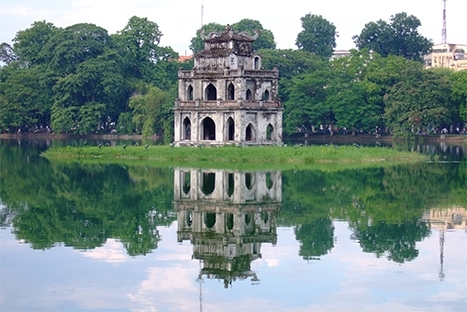 Lying to one side of the Mausoleum is the One Pillar Pagoda, founded by King Ly Thai To in 1049 the structure has become an important symbol for the people of Hanoi. Following lunch, visit the Buddhist Tran Quoc Pagoda on West Lake (one of the oldest in Vietnam) and Quan Thanh Temple (Taoist, dating form the Ly Dynasty). Visit Ethnology Museum for a closer view of Vietnam people. Journey back to the centre of town for a Cyclo ride around Hanoi’s old streets. Relax as you weave through the narrow alleys of Hanoi s ancient Old Quarter, glimpsing Hanoi s everyday life. We will take you past Hoan Kiem Lake, see the peaceful waters, at the northern end stop and visit Ngoc Son Temple, perfect for photo opportunities! The mystical scenery of Halong Bay where thousands of limestone islands jut out of the emerald sea, sculpted into bizarre shapes and surrounded by colourful floating villages is a truly wonderful destination. The perfect way to see this UNESCO World Heritage Site is spend one or 2 nights aboard a charming junk..
Leave Hanoi by road for Halong Bay. 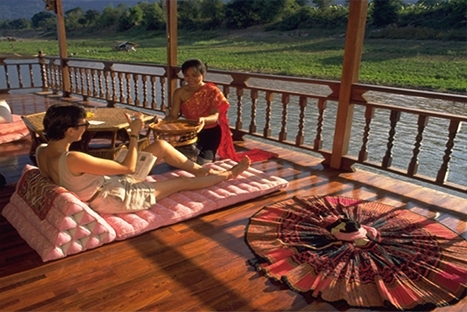 Enjoy the journey through the rich farmlands of the Red River Delta and the scenery of rice fields, water buffalo and everyday Vietnamese village life. Arrive in Halong and board the traditional sailing junk. 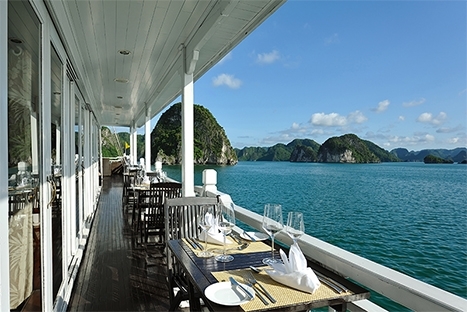 Whilst cruising the exquisite waters, enjoy lunch with fresh seafood. Visit the recently discovered Surprise Grotto with its great views, and on the next island see the yawning mouth of Bo Nau Cave. Alternatively journey to Dau Go Cave and nearby see the famous stalagmites and stalactites of Thien Cung Cave. Enjoy a swim in the emerald waters of Halong Bay at any spot if you wish. Watch the sun set over the bay whilst enjoying a delicious dinner. Overnight on board junk. Dinner will be served on board. Overnight on the junk. Met by our guide at the boat pier then transfer to Hanoi, stop for lunch in Hai Duong, en-route back to Hanoi, stop to visit Dau pagoda which is one of the oldest Buddhist pagodas in Vietnam, located in Thuan Thanh district, Bac Ninh province. Note: This itinerary on boat may be subject to change depending on weather conditions and visiting places may vary up to the boat company you choose. 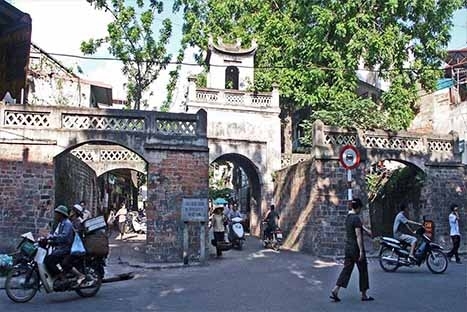 Then visit the Imperial Citadel from where the Nguyen Dynasty ruled between 1802 and 1945. Today, on top of this 27-meter large wall, the locals have created vegetable gardens where you may meet someone who will reveal to you some of the ingredients that make Hue cuisine so famous. In the premises of the citadel fortification, bunkers dating back from the Vietnam War time contrast with the peacefulness of the local houses sheltered away from the bustling city. On arrival at Danang city, visit the Cham Museum- a collection of Cham sculptures then visit Marble mountain – a cluster of 5 marbles & limestone hills, famous for stone sculpture making & stone cutting crafts then charming Eastern sea of Vietnam before being transferred to Hoian. 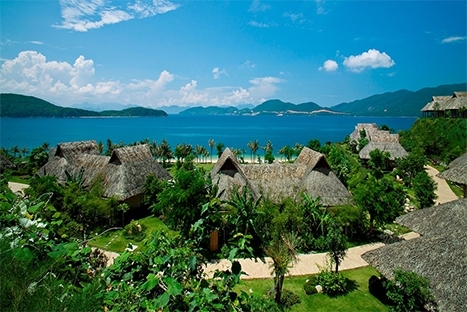 On arrival at Hoian, check in at your hotel and free at leisure for the rest of day. Overnight in Hoian. Breakfast at hotel. Free at leisure till transferred to Danang airport for the flight to Ho Chi Minh city. 08:30 departure to visit the centre of Ho Chi Minh which offers some of the finest colonial buildings in South East Asia. Behold the 1899 French Opera House, and gaze across the square to the Continental Hotel, where author Graham Green and other wartime press were once inspired to write some of recent history's literary classics. The Notre Dame Cathedral will be visited next. See the General Post Office which has remained unchanged since its completion in the 1880's. The tour continues with a stop at the City Hall. This landmark building is perhaps the most ornate of all the colonial structures in the city. Next is The Reunification Palace, left much the same as it was when it was overrun by advancing North Vietnamese forces in April 1975, a truly fascinating place to visit. Visit the War Museum or the History Museum. On to Cholon, nestled only a few kilometres from the centre but distinguished from the rest of the city by its impressive Chinese influence. 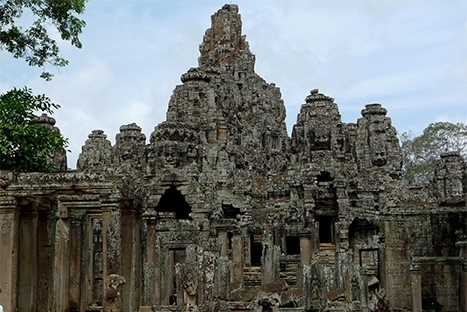 Discover the markets and shops of the area, and also the many pagodas and temples of Cholon. One of the most important temples for the locals is the Cantonese built Thien Hau Pagoda, dedicated to the goddess of the Sea; it attracts visitors from all over Asia. After lunch, depart Ho Chi Minh City for the drive to the Cu Chi Tunnels. Leaving the bustling city behind the scenery turns semi rural, along way see the lush rice paddys, rubber plantations, villagers drying noodles by the side of the road and everyday Vietnamese life. On arrival start the visit by going to Ben Dinh or Ben Duoc sections. Here you can imagine what it was like to be a guerrilla complete with Russian Carbine rifles and AK-47's. See the kitchens, sleeping quarters, school rooms, field hospitals and a mini-cinema and if you wish, have your photograph taken holding an M-16. On display in the visitor's section you can see a map of the tunnel system, this really gives a feel of the complexity and the ingenious design of the tunnels. Breakfast at hotel. 08:00, our guide will meet you in the lobby of hotel and drive to Cai Be, the heart of the Mekong delta, famous for its vast rice fields and most beautiful landscapes. 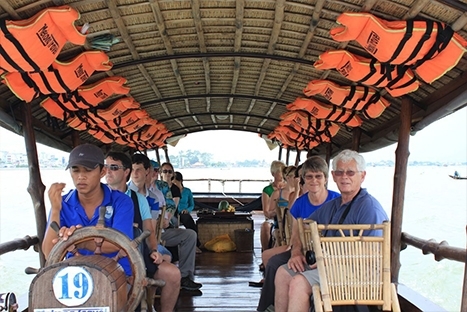 On arrival, board the junk boat and start the tour with the visit of the colourful Cai Be floating market. Follow with a visit of some local home factories that produce rice paste, rice pop corn and coconut candies. 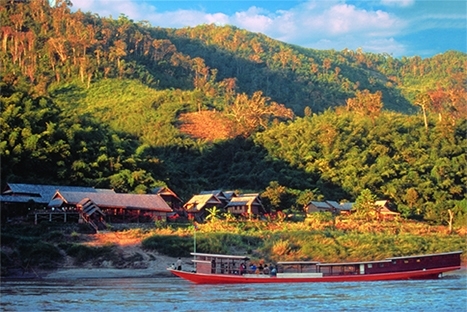 Cruise then to evergreen islands among the Mekong River through large networks of meandering rivers, crisscrossed with countless arroyos. 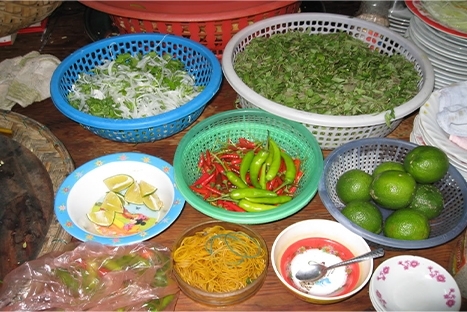 Lunch at a fruit orchard then cruise back to Cai Be pier where our vehicle is ready to transfer you back to Hcmc. Upon arrival in Phnom Penh, warmly welcome by your local guide and transfer to hotel. In the afternoon, visit the National Museum, the Silver Pagoda, the Royal Palace and Wat Phnom hill, founding place of the city. Overnight in Phnom Penh. 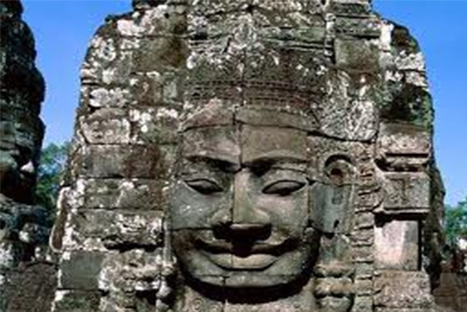 After breakfast at hotel, depart to Siem Reap by private transfer without guide. Upon arrival, welcome by your guide and transfer to the hotel. 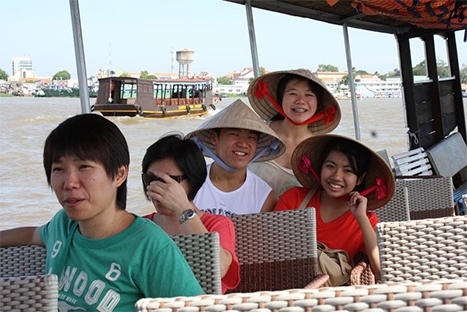 Take rive to Tonle Sap Lake where you will have the opportunity to learn about life on the lake. 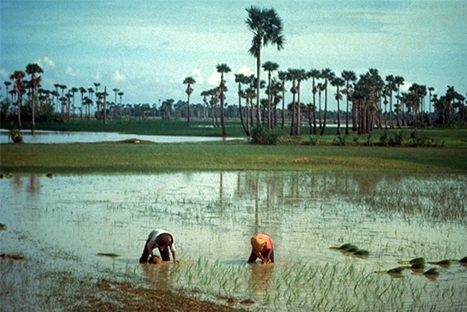 Tonle Sap is South East Asia’s largest freshwater lake with its size varying greatly depending on the season. During the dry season it is roughly 2,500 km2, swelling to about 4 times it size in during the wet season: 10,000 km2! We will board a boat and visit the Chong Kneah village where we’ll see floating houses, farms and even a floating hospital. 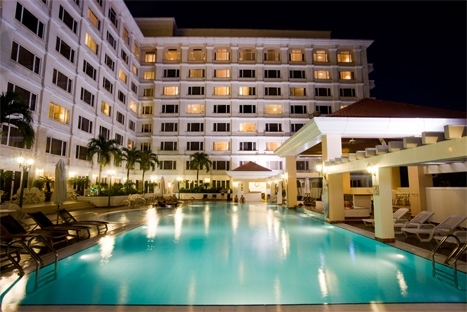 Upon arrival at Wattay Airport, met and transferred to your hotel. After a short rest, we begin our orientation walking tour of the Lao capital, and finishing with a relaxing drink overlooking a Mekong River sunset. After breakfast, we embark upon a tour of the major sights of the capital; including the oldest Wat Sisaket which contains thousands of miniature Buddha statues and the former royal temple of Wat Prakeo which previously housed the famous Emerald Buddha Image. We visit Lao national icon, That Luang Stupa, and you will have the opportunity to take pictures of the imposing Patuxay Monument, which is well known as Vientiane’s own Arc de Triumph. 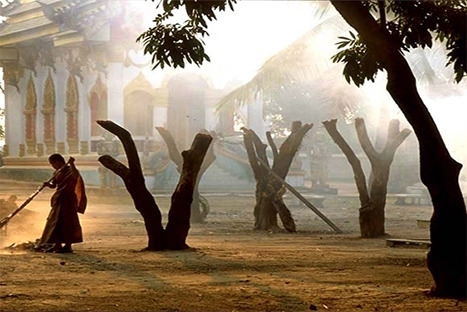 From there, we visit the ‘Morning Market’, where one can find an array of antiquities, handmade textiles and gifts. The rest of the afternoon will be spent visiting the National Museum (closed Tuesdays), which boasts a collection of antique items and tells the history of Laos’s fighters and leaders from the Ancienttimes through to the new revolution period then board a short flight to Luang Prabang, which is perhaps the best - preserved traditional city in Southeast Asia. On arrival, met and transfered to your hotel. After a short rest, we will stroll around the Night Market, where you will find a lovely selection of local handmade textiles. We then hike to the top of Mount Phousi for an exploration of the sacred, gilded stupa and beautiful panoramic views of the sun setting over the city and the Mekong River. Breakfast at your hotel. Free at leisure for last minute shopping until transferred to Noi Bai Intl airport for your flight home.